How can Locus Map help me with finding Geocaches? 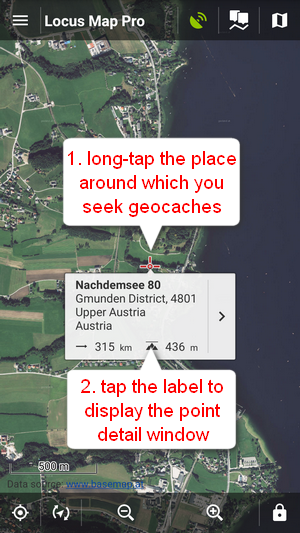 How to get geocaches into Locus Map? Geocaching has become a worldwide favourite outdoor game and Locus Map is one of the officially certified Geocaching apps. Locus Map can show you geocaches on the map, navigate you to the cache, display listing, images, logs, it also allows you to log your own findings directly from the app without need to visit Geocaching.com website. And many more, as you can see in the Geocaching chapter. 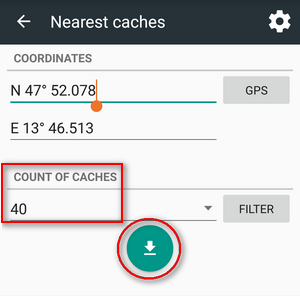 The easiest way is via the Geocaching4Locus addon which you can quickly install for free from the Google Play Store. Select icon. 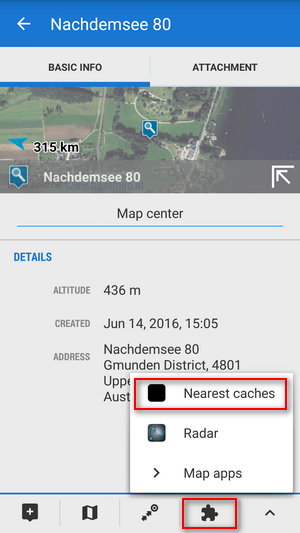 Choose Nearest caches. … and after the download where to place them. 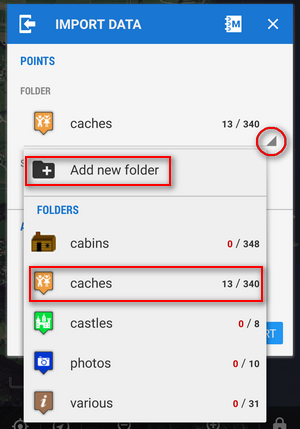 Use either an existing folder or make a new one to import the caches in. Then you'll be asked for your Geocaching.com login and that's it, geocaches are scattered around the map. 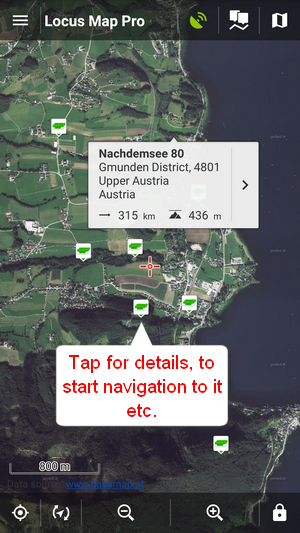 Tap them to display their details, to start navigation to them etc.